We get bombarded with videos from animal charities so often that we’ve grown almost immune to them. To be honest, that’s not an easy thing to write. After all, a lot of these videos are heart-breaking. But like a lot of charity commercials, the template is so fixed these days it’s hard to distinguish one from another. You know the formula: there’s usually an image of a trembling animal in a cage with sad, pleading eyes as big as saucers. Then there’s the plinky-plonky piano tune, sometimes accompanied by a female singer. And not forgetting the earnest voiceover telling the story about how ‘Max’ has "never really known love". So you have to take your hat off to The Animal Mayhew Centre and agency BBH London for coming up with a very different way of promoting their cause. 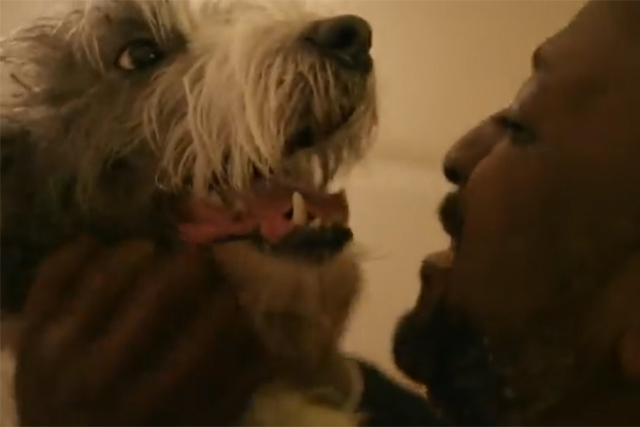 Rather than portraying animals as victims, in its video "Unloved" the centre highlights the happiness having a pet can bring. It shows a referee, a bouncer and a charity street fundraiser being either ignored or abused just doing their day jobs. However, they soon shrug off their crappy days when they return home to find their beloved pets waiting for them. After all, everybody needs a little love – even referees - some days more than others. It’s certainly a powerful watch. Since its launch, the ad has attracted almost 100,000 shares, propelling the ad towards the top of the Unruly Viral Video Chart. And there is every indication that the video will continue to attract shares and views throughout the year. Why? Well, firstly, it’s so different to any other animal charity appeals. Just like Budweiser scored major hits with "Brotherhood" and "Puppy Love" in the last two Super Bowls by not following the crowd and creating funny ads, "Unloved" instantly gets cut-through in what it is an already heavily-cluttered space by doing something very different. Rather than filling your head with images of cruelty and despair, it promotes a more positive message around animals – the joy and comfort they bring. It’s also a message that will resonate universally. Even those who don’t own dogs or are not reduced to a quivering mess at the sight of a cute furry face can understand what it’s like to have a rubbish day. We all crave love and attention, after all.